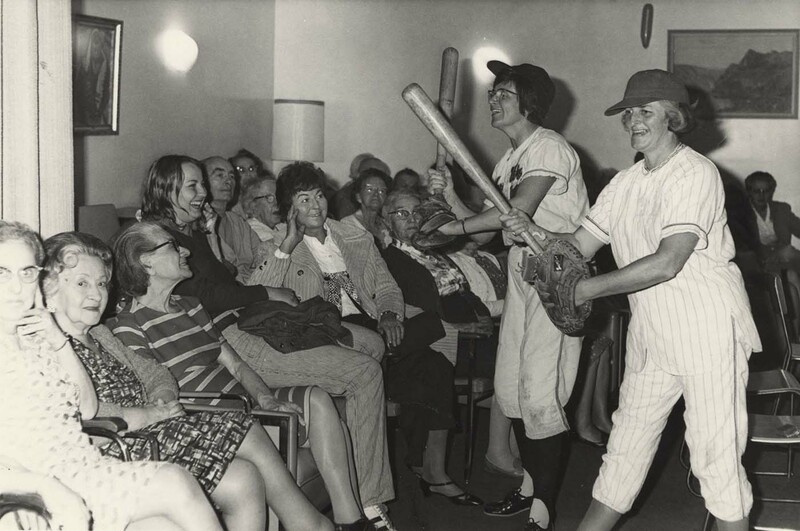 Photograph depicts (l-r) Physiotherapist Mrs. Taylor and Mrs. Pam Taylor of the activities staff dressed up as baseball players in front of an audience of seniors. Written on the verso: "Page 4 - 2 cols P. 21. l Mrs. Taylor, Physiotherapist. r Mrs. Pam Taylor of the activities staff. Louis Brier Home. Nov 12 1971."